If you own a commercial premise you will have a large floor area that needs cleaning on a regular basis. Depending on the type of premise that you own you may require office cleaning, industrial cleaning, or deep cleaning. Whichever service you require it is important to make sure you get a few commercial cleaning quotes before you decide on a team of Bristol commercial cleaners to employ. In this article we will assess what should be included in your quotes, and why the lowest price will not always be the best. When asking for quotes for your commercial cleaning needs, it is important to look at the bigger picture. You need to find not the cheapest company but the one that will be able to attend to all your needs. There is no point employing one office cleaning company and another to clean windows. There are plenty of locally based companies that can provide both these services at competitive rates. Let’s say for arguments sake that your commercial premise is an office building. Once again, it’s important that you look at the bigger picture. Although on a regular basis you may need only general office and window cleaning, you may need more services from time to time. These could include end of lease cleaning, deep cleaning, and graffiti removal. So, when asking around for commercial cleaning quotes, don’t just ask about the services you will need on a daily or weekly basis. Also ask about all the other services they offer and make sure that included in them are all the services that you may need. Having one company provide you with all your commercial cleaning needs will save you money in the long run. As there are dozens of companies offering Bristol commercial cleaning, you can find some very competitive prices for the services you need. In general you will notice that commercial cleaning is cheaper than domestic cleaning, and that unless your premise is located in London, the hourly rate will be the same. 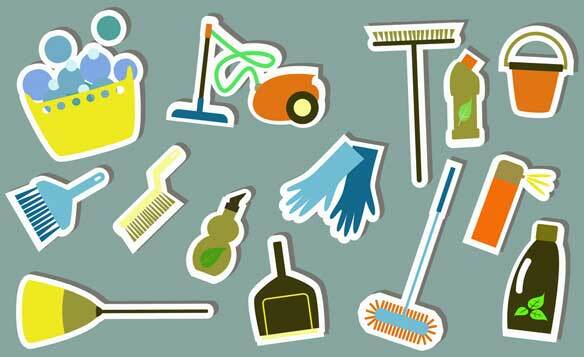 You will be able to find cleaning for as little as 8 pounds an hour. But, just what would be included in that price? When you opt for the lowest price per hour, you will often be sent trainee cleaners or people with little experience. The cleaning team that is sent to you will more than likely change each day, and this will be reflected in the lack of continuity in the cleaning. You will also find that no manager or supervisor will be sent to your premise, leaving yourself open to all sorts of problems. When shopping around for commercial cleaning quotes, make sure that you do your homework. Cheapest is not always best. If you opt for a lower price you will find a very limited service is supplied and the cleaners sent to your premise will not be professionally trained. Choose a local cleaning team for the best results, and for a standard of cleaning that you can really rely on for your premise.